Srinagar: Authorities on Tuesday evening allowed stranded light-motor vehicles and fuel tankers to move towards Kashmir valley after the road was made motorable for one-way traffic. Officials said that the road was cleared after the debris of landslides was removed. 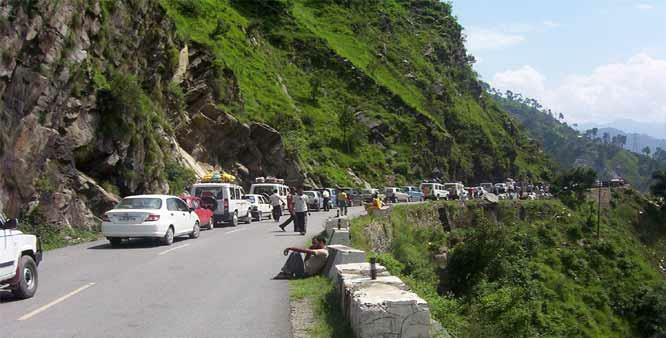 Over one hundred stranded fuel tankers and light passenger vehicles were allowed after seven days from Ramban to Kashmir, they said.